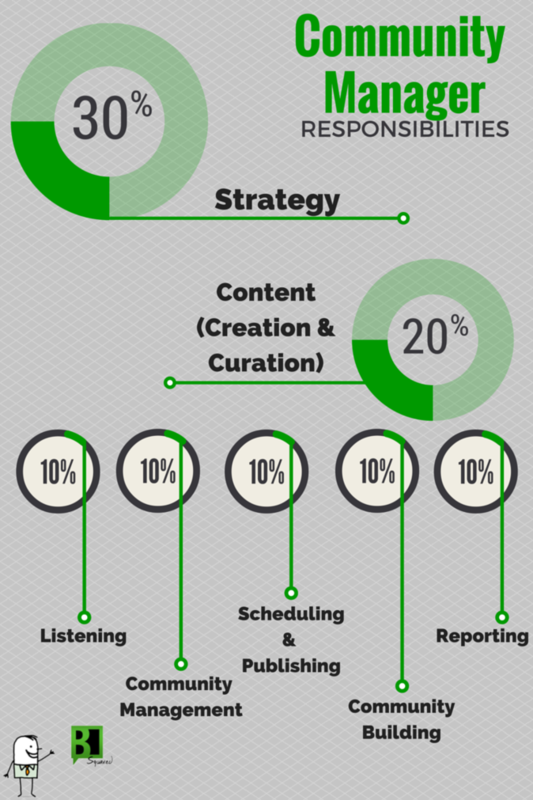 Have you defined — or do you need to redefine — your community manager responsibilities? Whether you said “yes” or “what’s a community manager” this post is written especially for you! This is exactly where I am today. And even though I need a community manager (CMGR) for my business and my clients’ businesses, anyone who utilizes social media needs to understand how to break down the duties of the community manager to help lighten that workload! What’s a Community Manager or CMGR? First things first, if your business uses social media as a way to market, sell, or converse with your current and would-be customers, you need a CMGR. The role of the community manager differs from business to business. And being that we’re in the business of putting Grade A community managers to work, I’m going to share just what to look for (and how we break down those responsibilities). After reading that a couple of times you’ll understand why we added “specialist” — yes we only hire special people, but they have to be well above average to manage a brand’s online reputation (and assets!). Someone may be a communication expert but not like to deal with ranting online customers. Every company is different, so by no means am I saying this is the way you have to distribute duties for your CMGR. This is our guide, what works for us (for now), and should be used a blueprint or basis for your own community manager responsibilities. Everything starts with a strategy. Let me repeat: EVERYTHING. STARTS. WITH. A. STRATEGY. If a strategy is already in place, your CMGR needs to be able to translate that strategy into a workable, editable, flowing schedule of events. And content. And, deal breaker, they need to be able to convey that strategy and plan not only to internal teams but to any clients who may be involved. Audience Development falls under this piece of the pie and probably takes up a whopping 10%! If you’re not in the biz, you’d be shocked at how much time is spent on creating and curating relevant, on-brand, and timely content for online communities. The more communities you have, the more content you need. No, you cannot share every piece on every platform simultaneously. Content creation not only means writing status updates that are free of spelling and grammar errors, it may also mean creating a branded visual to assist with getting that message across. If your CMGR thinks “content creation” is creating meme after meme in Canva and then posting said meme to both Facebook and Instagram in the same day? Run. Creating content calendars, schedules, publishing calendars, and whatever else it takes to ensure all of that content your CMGR has curated and created is organized is essential. We like to post organically as much as possible. We also realize that automation can be a friend and timesaver, too. If the same post, link, or photo hits Facebook, LinkedIn, Twitter, and Instagram all within a few hours of each other. Why would I follow you on several accounts if I constantly see the same message? I wouldn’t. You bore me. Unfollow! Active listening is behind the best, brightest, and boldest social media marketing. Reviewing comments, conversations, mentions, reviews, etc. in a timely manner and crafting a response within allotted times (we strive for a one-hour response time during “normal” hours) is an absolute must. Keeping a healthy active and engaged community is one thing. Adding members and growing is another. While this can sometimes happen organically, you have to have a defined process for continuing to attract, targeted, relevant fans. Ads can help here, but good old-fashioned community building tactics are the cornerstone of awesome sauce community managers. Since we typically report monthly, there isn’t a HUGE emphasis on getting reports out often. There is, however, a GINORMOUS emphasis on analytics. Each area, or duty, outlined above equals to 100% of what we expect from our CMGRs. There are other tactics we include with community manager responsibilities, but these are the daily tasks. Yes, meaning each area needs to be touched upon daily for continued success. Do things differently? 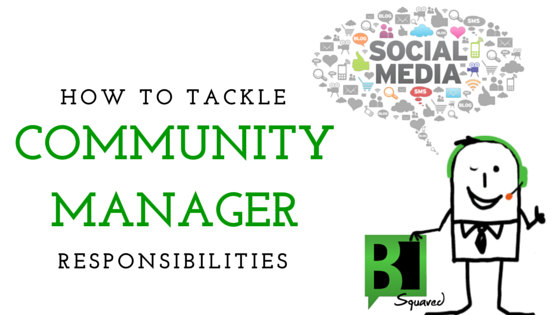 We’d love to hear how you tackle community manager responsibilities and roles. Let us know in the comments section below!